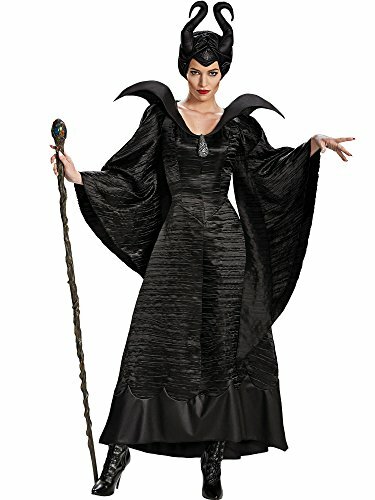 Maleficent starring Angelina Jolie as the eponymous Disney Villainess character, the film is a live-action re-imagining of Walt Disney's 1959 animated film Sleeping Beauty and portrays the story from the perspective of the antagonist, Maleficent. 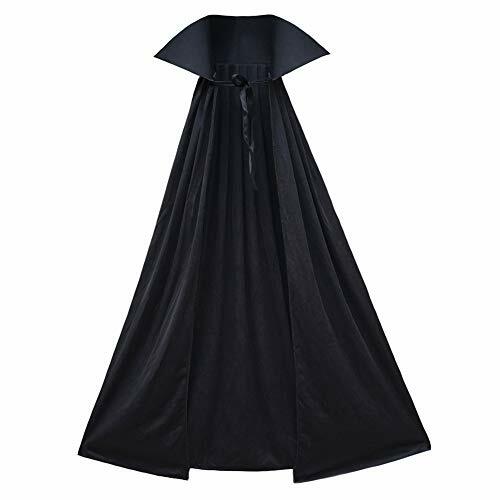 This deluxe beautiful dress comes with a detachable brooch and a 3-Dimensional color. 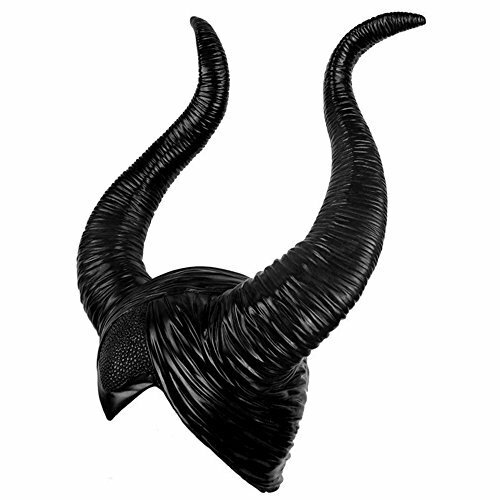 Also included is a headband with horns. Add the staff to accessorize and complete your costume. Looks just like the one from the movie. 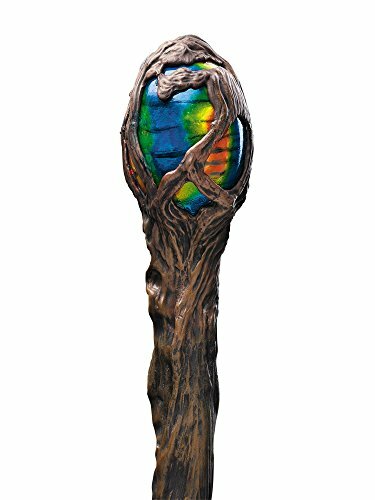 56" plastic Maleficent staff looks like woody vines twined together with a colorful orb at the top. Breaks down into 2 pieces for easy storage. 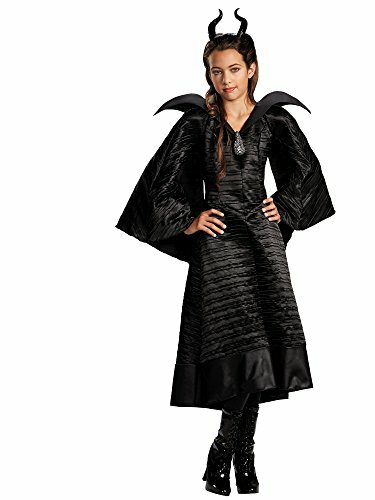 Maleficent starring Angelina Jolie as the eponymous Disney Villainess character, the film is a live-action re-imagining of Walt Disney's 1959 animated film Sleeping Beauty and portrays the story from the perspective of the antagonist, Maleficent. 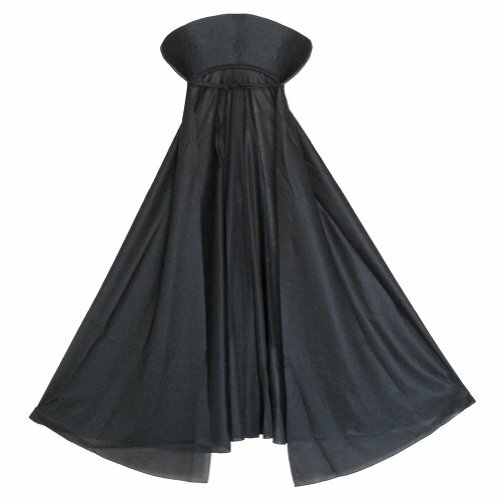 This beautiful dress comes with a detachable brooch and a 3-Dimensional color. 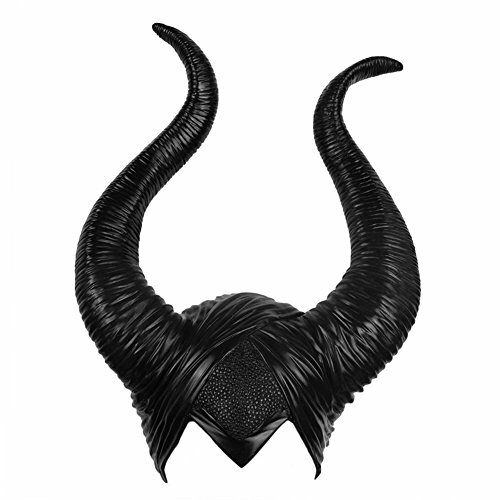 Also included is a headband with horns. 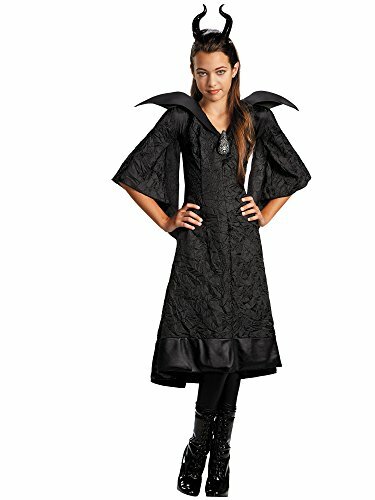 Add the staff to accessorize and complete your costume.